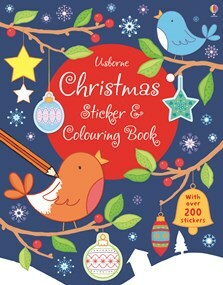 A bumper activity book full of Christmas colouring and stickers to keep children entertained over the festive season. Children will be absorbed for hours colouring Christmassy scenes of sledging through the woods in the snow, decorating the Christmas tree and opening presents on Christmas morning. With over 200 festive stickers of reindeer, presents, Christmas puddings, snowmen, decorations and more .